Earn 695 loyalty points when you order this item. The Stamp is a perfect match for any small speakers, or where space is simply at a premium - it can also be partnered with Lehmann's Linear or Linear USB preamp for a high quality miniature pre/power. Small speakers are definitely a trend. And they are getting better all the time. 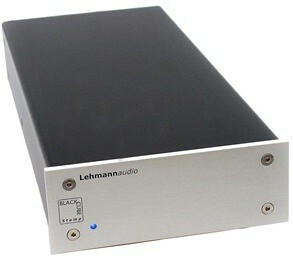 As such, Lehmann recognised the need for an audiophile power amplifier to match that wasn't full size. Stamp is the solution. 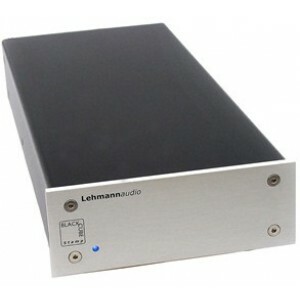 This audiophile power amp enters the market to show that it is possible to save space and to supply real High End sound at the same time. The unit can be mounted space savingly beneath desktop tables, in or under cabinets or on walls by using the optional mounting kits. Stamp features the best possible parts, including an over dimensioned linear power supply with a huge magnetically and statically shielded toroidal transformer, allowing a power cable of your choice to be directly connected to the unit. You can even use Stamp to bi-amp your speakers by simply switching two DIP switches from stereo to bi-amping mode. Suprisingly for its size, Stamp delivers 2 x 20W at 4 Ohms. Speakers with an efficiency of 87dB and above are perfect partners.